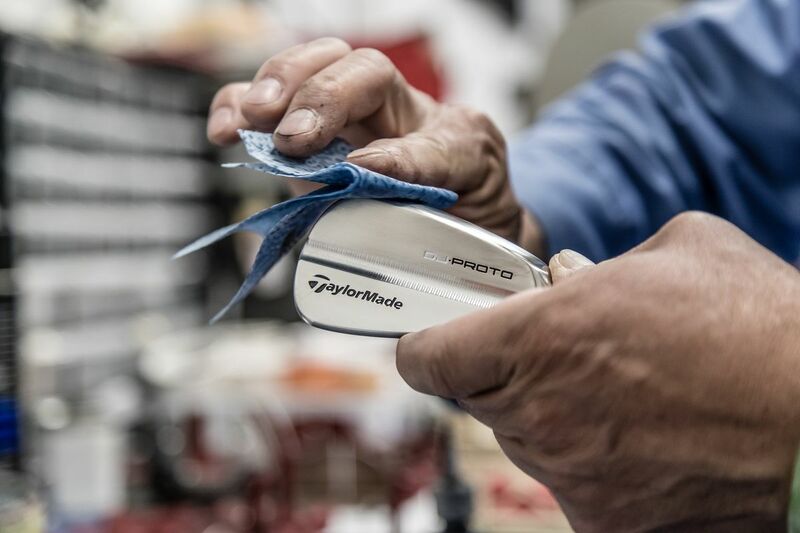 Johnson's 17th PGA TOUR victory is first for TaylorMade's New M4 Driver. 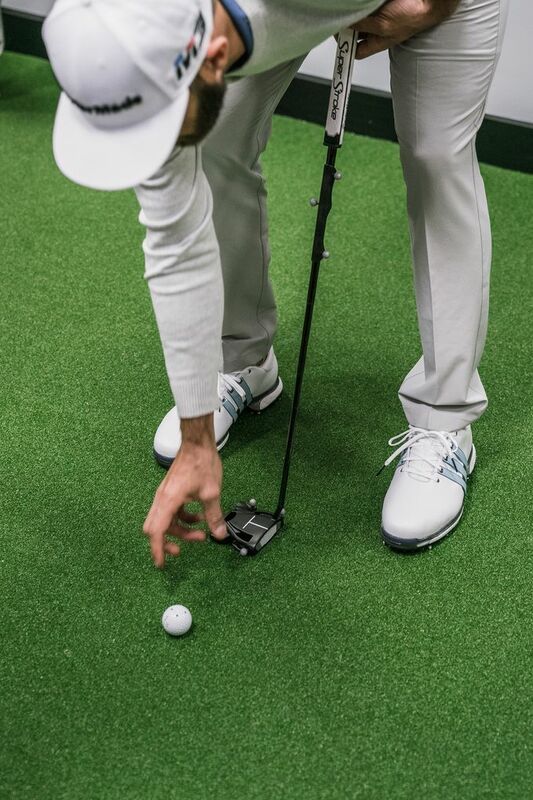 Launching on Tour just this week at Kapalua, World #1 Dustin Johnson used his prodigious length off the tee combined with TaylorMade's new Twist Face™ technology to find more than 73% of fairways, highlighted by a near hole-in-one, just six inches short on the 433-yard par-4 12th. 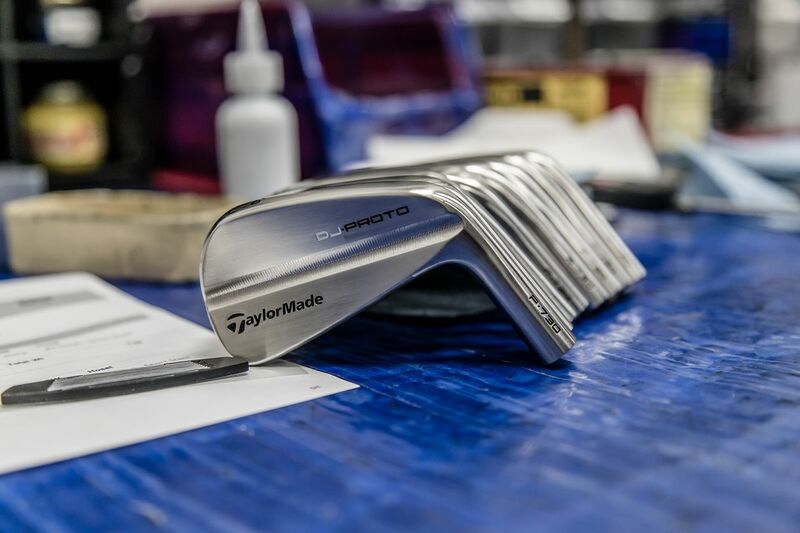 Johnson put TaylorMade's new M4 driver into the bag at Kapalua after extensive testing with both that and the M3. He opted for the M4 at 9.5° in standard position. 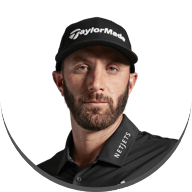 DJ preferred the M4 due to the flatter flight and felt it would be better suited for his trajectory in Kapalua's winds. It is likely he will continue working with both models moving forward. 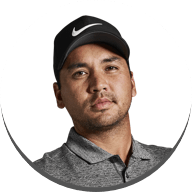 Johnson's +4.09 SG off the tee is the best measured round ever at Kapalua. Johnson also added a new M4 fairway (16.5°HL) to his setup this week after testing with TaylorMade's Tour staff at the Kingdom earlier this month; it's equipped with Project X's HZRDUS Black 6.5 95X shaft; the same shaft he carried in his fairway(s) last season. 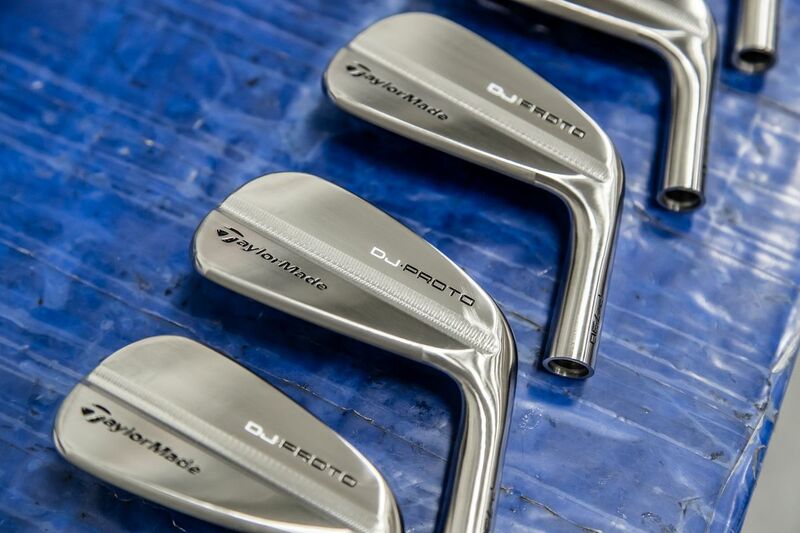 In addition to his P790, he's added a full set of P730 irons to his arsenal, having done extensive work with them over the off-season. 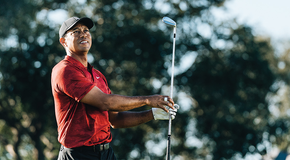 Similar to his previous irons, he has them equipped with True Temper's Dynamic Golf X100 shafts. DJ found much success with the Spider Tour putter last season, using it to escalate to #1 in the World, where he's remained for 46 weeks. This week, he used it to card 26 birdies (or better) en route to an 8-shot margin of victory. 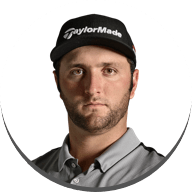 Johnson's TaylorMade stablemate and World #4 Jon Rahm finished 2nd, and is expected to move up to #3 in the OWGR. 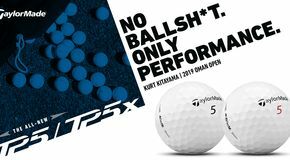 Dustin's preferred golf ball is the TP5x, stamped #1. He used this ball throughout the 2017 campaign as well. 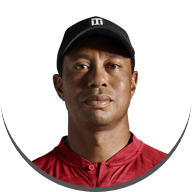 He was struggling with his putting end of last season, punctuated by his lost lead in China after struggling on the greens. 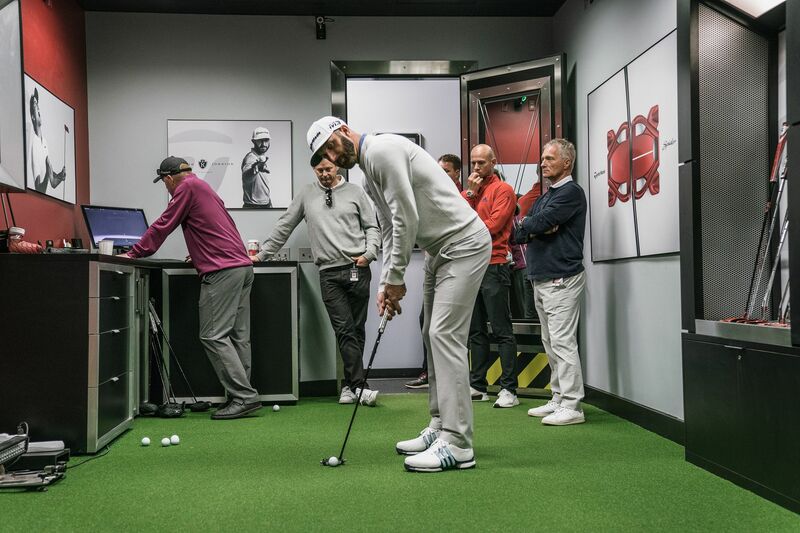 Keith Sbarbaro, VP Tour Operations and Duane Anderson, Expert Fitter from The Kingdom, met with him in Carlsbad at our putter lab in December. The Tour team built 12 identical Spider Tours, each with different sight lines (long, short, dots, etc.). 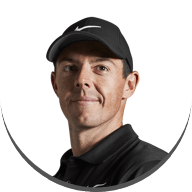 He hit 5 putts (flat, 15 footers) with each sightline in the lab. The putters with the long lines he was aiming up to 10 inches left of the hole. The short line model(s) he lined up left edge. 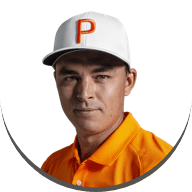 The one he used all last year with no line was 1 inch left of center, but the "T-line" model was right at dead center nearly every putt so he took it and next thing you know, he's winning by 8 strokes in Maui.